The blackout and petrol rationing made it difficult for people to travel so many had to spend their evenings at home. They enjoyed listening to: news, music and comedy programmes from the BBC on their ‘wireless’ radio sets. Reading books and magazines was also an activity that people liked doing. Newspapers were an important way of finding out what was happening in the war. 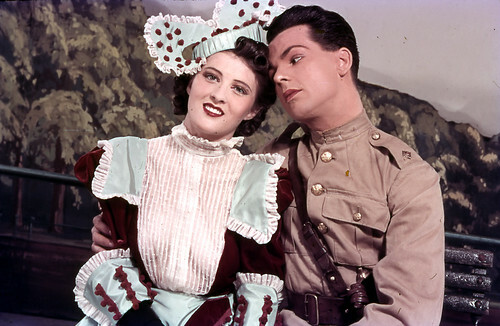 Occasionally, people visited the cinema to watch documentaries (real-life) films about the armed forces or movies from the USA, such as love stories like Gone with the Wind. The Windmill theatre in London remained open throughout the war, even during the Blitz, and had the motto “We Never Close”. 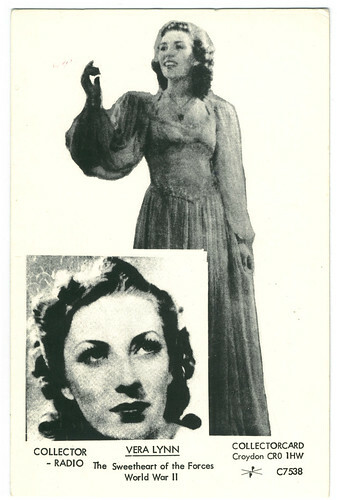 Singers like Vera Lynn would travel the country to perform in factory canteens and army barracks. Known as the 'Forces’ Sweetheart', she was popular for her topical songs such as The White Cliffs of Dover and We’ll Meet Again. As lots of the toy factories were now making war equipment, children often had had to swap their old toys at ‘toy exchanges’. Most of the new toys that were made had a war theme. For example, there were: toy battleships to float in the bath, card games with pictures of soldiers on and models of planes which could be built to fly. Children also liked listening to the teatime Children’s Hour on the wireless.